Moving a business needs to be viewed as a mission critical event. During the office moving process, it is probable some segments of your company will be essentially out of business. Files, computers, records and phones will be inaccessible. Can you afford to trust your future to a moving company that may not perform? Start with some smart planning, a little prep work, add a team of proficient and professional movers to help you get it done – and all of a sudden your office move becomes this well oiled machine; a smooth move from start to finish. That’s office moving the Canadian Moving Services way. When you call on our movers to help with your Edmonton office move, we’ll work closely with you in assessing all of your moving needs. From packing to cleaning, to moving and moving complex IT systems and furniture, Canadian Moving Services staff of professional movers can do it all – whatever you decide. Canadian Moving & Storage offers approved, heated, secure office equipment and machinery storage, as well as records and file storage. Call Canadian Moving Services today to book a free consultation with our office moving professionals. Preparing for an office move can be a huge undertaking – if you’re doing it by yourself. Over at Canadian Moving Services we have a team of office moving specialists who have been moving offices for a living for at least 10 years. We’re a toll-free phone call away: 1-855-390-MOVE (6683) or contact us. Your Edmonton office movers office moving specialists work with you to develop a moving plan and budget that works for your office. We will help you to create timelines and checklists and to get your office organized, starting with getting rid of everything you don’t need. From there we can help get you packed, stored, moved and settled into your new office. Your Edmonton office movers can pack your office at an affordable rate. No need to touch anything! Canadian Moving Services are excellent in respecting the timeline given by the customer. 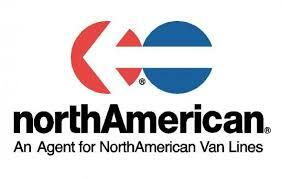 Canadian Moving Services flat rate are guaranteed and we do always offer a free full insurance coverage.